Kursk State Medical University was the first that began to teach in English. Kursk State Medical University has a high international reputation. A lot of foreign students are interested in studying MBBS in KSMU. Kursk State Medical University (KSMU) is one of the oldest and biggest universities in Kursk and also one of the leading medical universities in Russia. Kursk Medical University an educational, scientific and cultural center in the Central Black Earth region. Kursk State Medical University: Established in 1935, Kursk State Medical University is ranked as one of the top 10 best Russian Medical Universities. Among its many achievements, KSMU was the first University in Russia to offer students a full Medical training program in the English language. Kursk State Medical University also has a Research Institute of Ecological Medicine as well as a consulting diagnostic polyclinic and medical institute. 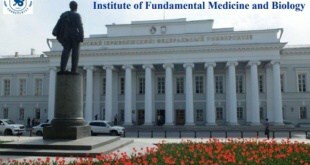 To date, Kursk Medical University has trained over 25,000 medical professionals across 14 faculties and 67 departments. Kursk State Medical University has a high level of education. Up-to-date methods of teaching are adopted in the educational process and always are improved: problem lectures, lectures-dialogues, computer technologies for training, multimedia training tools, different kinds of testing, rating knowledge assessment. Great attention is paid to practical training of doctors, pharmacists, and other specialists. Necessary skills for doctors of various majors are formed by direct contact with patients at clinical departments and during practical training. With the same purpose according to the global trends, virtual simulators and mannequins are used. In 1991 Kursk State Medical University started the Faculty of international students has trained more than 1,000 Doctors of Medicine, stomatologists (dentist) and pharmacists. KSMU presents its scientific achievements at international exhibitions, as well as participates in international congresses. The university has a center for science and innovation and a council of young scientists. Student scientific society gives an opportunity to all interested students to engage in research work. Nowadays in scientific groups work over 1,500 students, about 300 of them are engaged in long-term studies. Graduates of Kursk State Medical University are in demand in various fields of health care, medical science, business, and economy. University placement office monitors the views of employers about the quality of graduates. Marketing research results allow coordinating the activities of KSMU and employers to help graduates with employment. Annually Job fairs are held for graduate students and interns. Russian higher medical education has gained a remarkable reputation on the world stage due to high educational standards with advanced and sophisticated teaching methods and scientific approaches. Medical Degree from Kursk State Medical University is recognized by the (W.H.O (World Health Organization), and General Medical Council (G.M.C) of major European countries, including Great Britain and France and other international medical boards. Kursk State Medical University occupy prominent positions in the international rating by the UNESCO, World Health Organization. KSMU is also recognized by MCI (Medical Council Of India), JPA Malaysia, MC Sri-Lanka and other countries. Faculty of General Medicine: The program is designed to train qualified physicians oriented to the practice of medicine. Standardized patients are used to evaluating medical students and residents ability to take patient histories, communicate with patients, and determine diagnosis and treatment. The curriculum offers a six-year program leading to a Doctor of Medicine (MD) degree. The faculty was established in 1935. Since then more than 20,000 physicians have been trained by and graduated from the faculty. Among the faculty graduates of all years, there are 120 D.Sc. and more than 650 Ph.D. Many graduates have established new schools and original scientific trends. The training is provided at 49 departments of the University. The faculty teaching staff of 400 teachers include 70 D.Sc. 275 Ph.D., 2 honored scientists of the Russian Federation, honored worker of higher school of the Russian Federation, more than 35 academicians and corresponding – members of the Russian and international academies. 10 honored physicians of the Russian Federation work at the departments of the clinical profile, actually, all the teachers have the higher or the first medical category. Kursk State Medical University has over 5,500 students out of which 1,200 students are international students. From arts events to sports events, Kursk State Medical University is a center for innovation and culture. Kursk Medical University has 6 hostels for all the students. Out of these hostels, 3 modern hostels are available to international students. These hostels are about 5-10 minutes walking distance from the University. There is a central heating system in every hostel. Hot water facilities are available in every room.